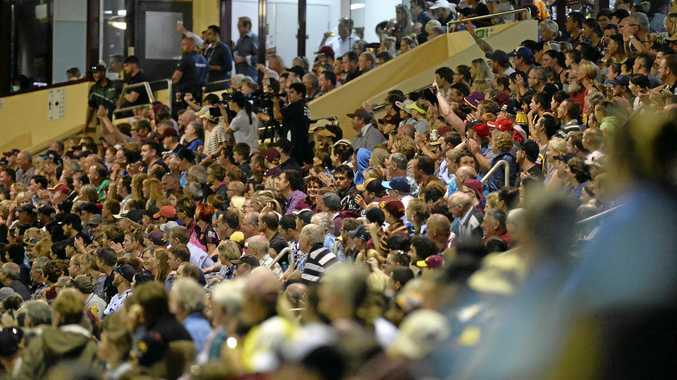 THE push to build a 10,000 seat stadium at Browne Park - and bring NRL games to Rockhampton - received a powerful boost yesterday when Tourism Industry Development Minister Kate Jones threw an extra $75,000 in State funding at the proposal. This doubled the Government's election commitment of $75,000 in order to fast-track a feasibility study to investigate the plan to turn Browne Park into a major regional stadium. In response to a question in Parliament from Rockhampton MP Barry O'Rourke, Ms Jones said the additional $75,000 would take the government's commitment to $150,000. Afterwards, in a statement, Ms Jones said it was important to give fans and players an answer to the stadium bid as soon as possible. "This is the first step towards bringing NRL matches to Rockhampton," she said. "With this extra $75,000 the Special Projects Unit in my department will be able to accelerate the study. "Just like Lang Park is to Brisbane and Queensland, so too Browne Park is too Rocky. It's the region's spiritual home of rugby league and we want to keep it that way. 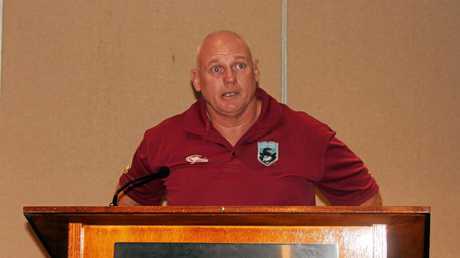 "I'm told Capras CEO and former Capras great Peter White told a public meeting in Rockhampton last month (held at the Rockhampton Leagues Club) that Rocky is being bypassed simply because it lacks the facilities to attract big games and events. "I'm pleased to announce that following that meeting and numerous discussions with the Member for Rockhampton, an extra $75,000 will be allocated to get this underway. "But let's be clear - while the proposal we are told has the support of local Federal Member (Capricornia MP Michelle Landry) and the Mayor or Rockhampton (Margaret Strelow) such a facility will be costly - that's why our study will also look at funding models." 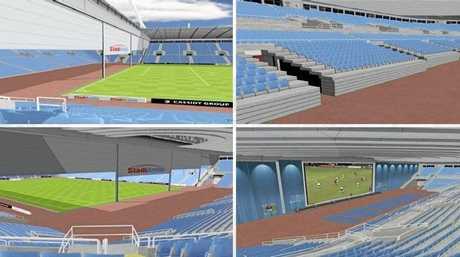 Early estimates had put the new stadium cost at around $100m. Ms Jones said the study would explore opportunities beyond bigger footy crowds, including the capacity to attract national and international concerts, rodeos and spectaculars. "Such a facility could potentially attract NRL games as well as national soccer and rugby union games and other major sporting events," she said. Member for Rockhampton Barry O'Rourke said the additional investment was a big win for Rockhampton. "This study is the first step towards a proper stadium for NRL in Central Queensland," he said. "We've listened to the people of Rocky and we're investing $150,000 to get the ball rolling and inform us on the best way to proceed - that's $75,000 on top of what we promised during the election so we can fast-track the study. 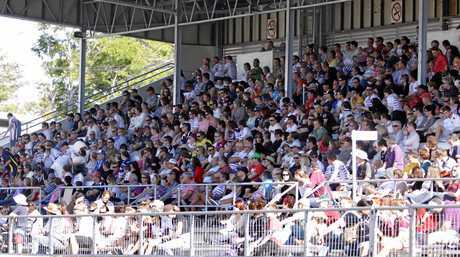 "The people of Rocky and Central Queensland are the most die-hard rugby league fans in the world. That's why it makes sense to invest in sporting infrastructure here. "A 10,000-plus seat stadium would create jobs and support the local economy. "Realistically, this facility could also host other major events - potentially concerts and shows as well as elite-level soccer and other sports." 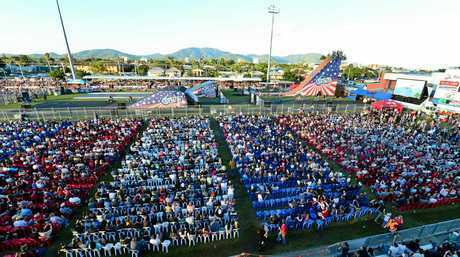 Rockhampton has recently missed out on an NRL game that was awarded to Gladstone and was overlooked for the Elton John concert which went to Mackay.